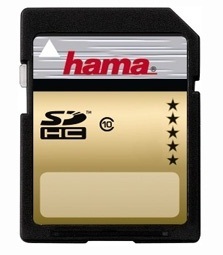 USB memory sticks and memory cards are a very convenient method for storing and transferring data. It is portable and it can be plugged to any PC or Mac or USB-compatible device and data can be accessed and saved easily. 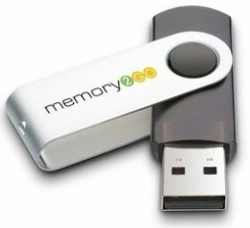 However despite their convenience, USB memory sticks can fail or can be physically or electronically damaged. Other causes of data loss in USB memory sticks are partition corruption, virus infection and exposure to water or a magnetic field. If have worked hard on your dissertation, project, presentation or homework and your USB memory stick does not work or when you plug in the memory stick into any computer, the operating system prompts you to format or initialise it, then you do have a problem and you do need expert help. There isn’t very much you can do. It is very very tempting to download a “free” data recovery software to do DIY data recovery only to find out later that you have to pay £75 or more to recover your data. Even if you bite the bullet and pay the money, you may not much success because most of these DIY data recovery software application are replica of the same unprofessional data recovery software which has been reverse engineered and and renamed and heavily advertised via Google Adwords or multiple website and blogs by the same person or company who just wants to make a couple of quid and is not too concerned about whether or not the software is going to ultimately help the customer or not. When you make the purchase they often provide no support and just refer you to a user-generated unhelpful support forum. If you data is too important to miss, beware of using any DIY data recovery solutions and get help from a data recovery specialist fast. Call Data Recovery London specialists on 0207 516 1077 and they will be able to provide you with the best data recovery solution. Our data recovery specialist team are capable of recovering data from USB memory sticks and memory cards used in digital cameras. (c) Copyright 2017. All rights reserved for HDD Lab. Copying images, content or any portions thereof are strictly prohibited.